We'll take you places that don't make the guide books. What makes traveling so addictive is that feeling of adventrue, discovering a new place, getting to know a new culture, meeting new people and tasting new foods. At Costa Rican Tropical Tours we give that experience a local touch. Not only will we take you to places that have not quite made the guide books but we'll also share the excitement with you. Hello my name is Miguel, I was born and raised in Mal Pais and I am lucky enough to say that I own and operate Costa Rican Tropical Tours. I come from a family of fisherman that have been fishing the Pacific Ocean off the coast of Mal Pais for three generations. Let me and my crew take you to some magical places. Pura Vida! 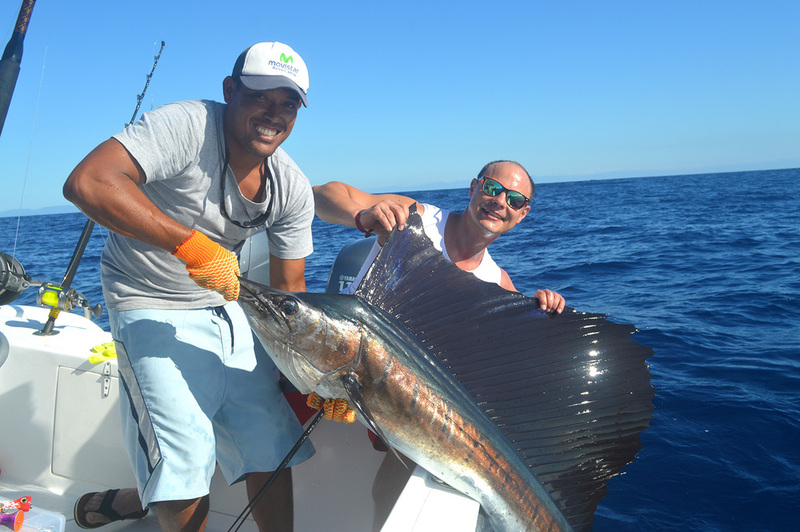 Looking for a pro offshore fishing trip during your vacation in Santa Teresa and Mal Pais? Well, look no further. A private boat from Mal Pais and Santa Teresa straight to Isla Tortuga. Great snorkeling, white sand beach and tons of fun. One of our funnest and favorite tours. Great for families traveling with kids, groups of friends and couples. Mal Pais is located on the Southern tip of the Nicoya Peninsula, bordering the Cabo Blanco Absolute Reserve. We live at what we like to call the end of the road, because literally the road ends here. We are ideally located to take visitors from all over the world exploring this part of the peninsula. For one we are right next to the Mal Pais fishery, where we have both our boats which depart daily on a multitude of tours; from snorkeling, sport fishing, and whale watching tours. The Mal Pais Canopy (zip-line tour) is practically in our back yard as well. Our adventure tours extend to the nearby beaches and mountainsides of Santa Teresa, Manzanillo and Coyote which are the just north of us and visiting the Montezuma Waterfalls is just a short drive away as well. For detailed information on all the tours check out our Adventure Tours page.